This course will provide an instructional overview of the sales and distribution activities, organizational structures, master data and reports that support the Sales and Distribution processing cycle. Throughout this course, you will have the opportunity to enhance your R/3 skills by completing exercises at the end of each lesson. 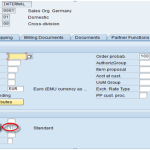 The exercises are based on the requirements of the case company, IDES AG, which is completing an SAP R/3 implementation. You will join the IDES implementation team as a business analyst. 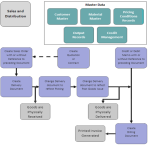 The exercises will therefore ask you to check, test and analyze various aspects of the Sales and Distribution cycle. Have fun in your new position at IDES! SAP is the leading market player within the ERP world. SAP SD Online Training module could be a key element in SAP’s supply Chain Management that lists the processes and associated activities in typical sales/customer service and logistics departments. The SAP SD training comes with a group of configuration tasks, master data, transactions, reports and technical objects. SAP’s inherent strength is its ability to seamlessly integrate across modules FI, SD, CO, PP, MM, PS etc.